Build a better shoelace, and the world will beat a path to your door. Nike is betting the old mousetrap adage holds true in its update to the shoelace, the Nike Adapt system. The shoelace has been around a very long time. Reports date them back thousands of years. But beyond innovations like the Boa closure system, they haven’t changed much. Nike aims to change that with its Adapt system. Announced this week, Nike Adapt is a wild-sounding new way to tighten shoes around feet. The brand claims the intricate lace “engine” closes around your entire foot. But what’s more exciting is that the shoe “remembers” via a paired app how tight you prefer your footwear. Going further, it can even remember different situations, from warmup to gameplay to rest, and adjust the tightness accordingly. “Shoelaces: you had a good run. But we think we may have finally bettered you,” wrote Michael Donaghu, Nike’s VP of innovation. Indeed, it’s an interesting case that might give our shoe-tying fingers a rest. Will shoe-tying skills go the way of cursive writing? Maybe. Let’s dig in more. Nike will launch the Adapt platform in a basketball shoe called the Nike Adapt BB. But it seems the Adapt will expand into shoes for many sports in the future. While this alone is a pretty compelling development, Nike is bearish with the Adapt. 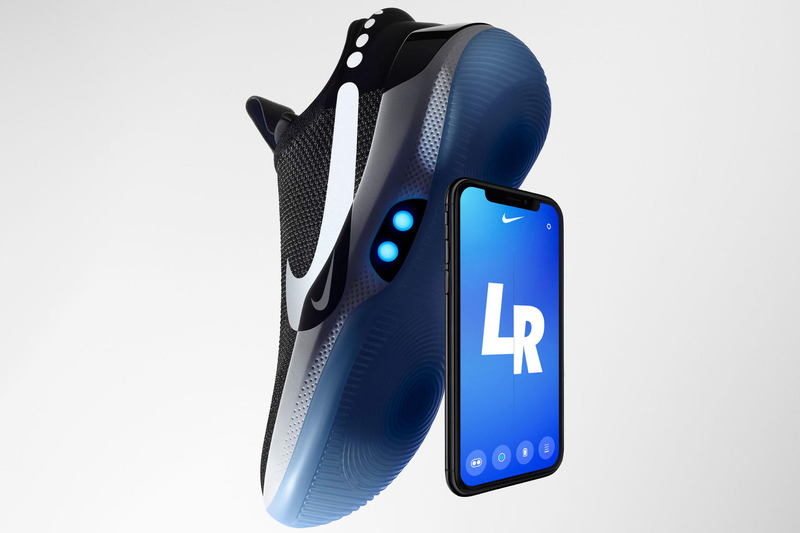 Its next claims about the shoe take it from simple closure to a fully-connected technological leap that could change the way shoes are sold and that athletes connect with a brand. Of course, footwear needs to stand up to the rigors of the sport. Nike claims it put the shoe through the gauntlet. Check out its testing claims in the infographic below. The Nike Adapt platform will allow the brand to update footwear after customers purchase it. This is a big change. 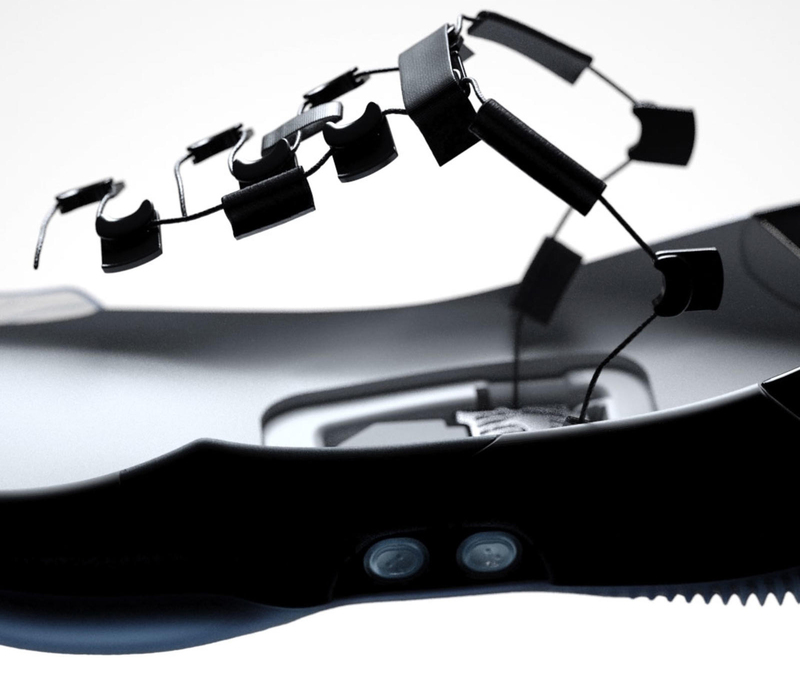 Like a computer updating its operating system, the connected nature of the Adapt footwear opens a new realm of possibilities. 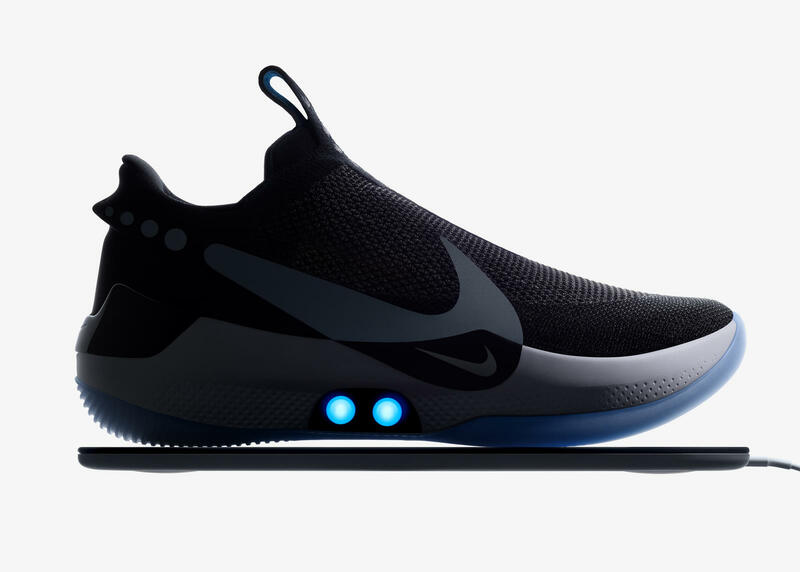 “Shoes in our Nike Adapt platform — of which Nike Adapt BB is the first — can update and evolve after purchase, letting consumers opt in to provide you with new services and features through smartphone-like technology,” Donaghu wrote. Athletes in the future could opt in to allow Nike to create data about an activity. Nike could then use this data to personalize marketing messages or recommend products and services related to new athletic goals. For some, this may sound almost Big Brother-ish. But for high-performance athletes, there could be benefits. 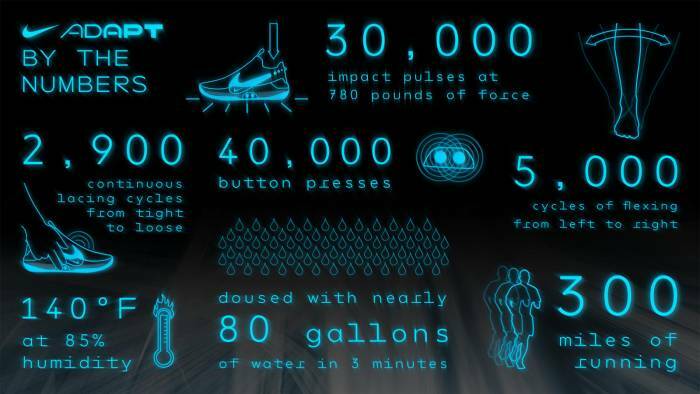 Imagine this kind of technology applied to distance running shoes, or even mountaineering boots. I’m starting to dream of a boot that knows when your feet get cold and turns on the heat automatically. It seems these kinds of innovations are just around the corner. Nike has begun its journey with the simple shoelace. But given the power of connected technologies, the limits of innovation here may be limited only by our imaginations.